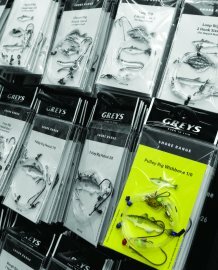 We stock a wide range of sea fishing baits both fresh and frozen. Please call to order fresh baits to ensure we have what you need put by for you. Dungie Lug, Blow Lug, Rag Worm, Squid, Prawns, Sand Eel, Bluey/Pacific Saury, Mackerel, Unwashed Squid, Joey Mackerel, Cuttle Fish & Crabs.